Anticipating the Title IX speech by Secretary of Education DeVos, the media last week was abuzz .Their verbiage included words like “overturn,” “roll-back,” “scrap,” “rescind.” They stirred it up and the protests grabbed our attention. But, does that help direct us towards solutions, or create distractions? What’s the truth of the matter? 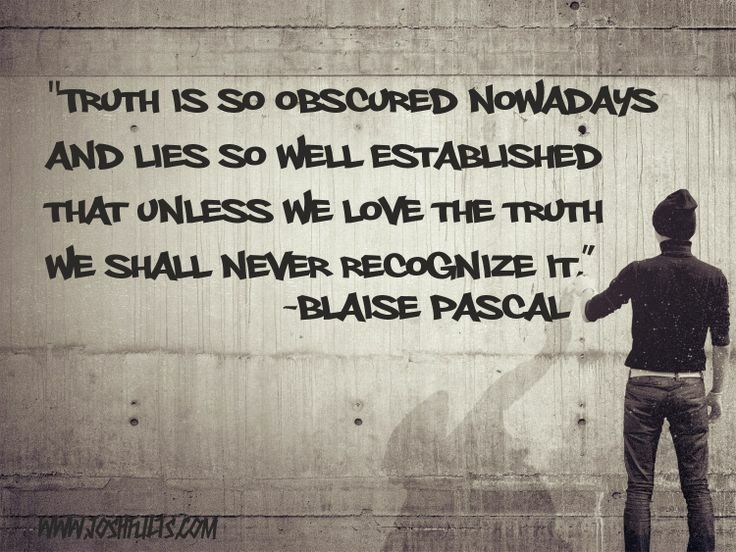 In pursuit of the truth, please consider this. DeVos is a shrewd political operative, more so than our typical political appointee. She has the means to create distractions. POLITICO 2016 A Look at Betsy DeVos Charitable Giving (Campbell Brown needed “charity”?) The Partnership for Educational Justice joined forces with 50CAN who previously merged with StudentsFirst (Michelle Rhee’s original anti-teacher/pro-charter organization). The organization’s names are changing quickly as their power grows! DeVos’ Title IX speech was impressively delivered. But the reporting that followed, some of her words, and the relative scarcity of facts within her speech fueled controversy. Those unfamiliar with Title IX, and the 2011 Office for Civil Rights (OCR) directives under the Obama administration, would be hard-pressed to find the time necessary to piece together the truth. Before last Friday, I felt under-informed on the issue. So Friday morning, I spent 40 minutes before work searching for information. On Saturday, between putting up tomatoes, baking cookies, cleaning house, fixing dinner, and walking my dog, I spent hours reading a variety of news sources, listening to DeVos’ speech, and reviewing its transcript. Let me be clear at the onset: Title IX federal anti-discrimination law, which includes protection from sexual harassment and violence, is a serious matter. By insinuating that DeVos is creating distractions, using Title IX in the process, is not to say that the issue isn’t important or deserving of the media’s attention. But the public needs less hype and more facts. Here’s what I can now tell you. …in a real court for any crime, no matter how minor, the more familiar “beyond a reasonable doubt” standard must be used, which means that the judge or jury must be virtually certain of your guilt. So the question becomes, do the directives sufficiently protect the accused person’s right to due process as well as the victims’ rights? …a judicial process …[could result in]…a student found innocent in a hearing [being] retried, even if the charges against him or her had already been proven baseless. At the time, this letter was also criticized for failing to clarify free speech rights as previous OCR letters had done. Did Betsy DeVos’ speech clarify those issues? Well, yes, but…in all honestly, if I hadn’t read the FIRE article before listening to DeVos I would have been distracted by the stories she told. They were stories gathered from DeVos’ listening sessions with people. Listening is good. But it was the number of stories she told that I found distracting from the issues. Was this DeVos’ best attempt at informing the public? If clarity of the issues and swift resolution were the secretary’s main objectives, her inflammatory language and anti-Obama, anti-government rhetoric sprinkled into the speech certainly didn’t help. They were added distractions. Truth be told. The problems aren’t that difficult to explain (explain, not solve) especially if your job depends on understanding the laws. Yet, they weren’t clearly explained. Reason enough to question whether or not there is something more to this story. Betsy DeVos isn’t stupid. So what is the bigger picture? That’s EXACTLY right. DeVos did appear “just right.” She appeared “re-framed.” She was delivering her new image! The secretary softly spoke well-chosen words. And her actions on the Title IX topic thus far —listening sessions, collecting opinions and stories—were the right way to go. She used the process just right. But keep in mind; this is exactly what we experienced with President Obama’s secretary of education and the president himself — the promise to listen yet their actions only furthered the political agenda of the ruling elite. The agenda is privatization of pre-K-12 public schools. The truth: If you follow today’s Orwellian nature of the media and politics, you can feel the school choice movement advocates drooling over DeVos’ speech. People like Frederick M. Hess want the Trump/DeVos school choice agenda to appear dead. All distractions are welcomed. They want the media talking about anything other than vouchers, charters, and the federal funding of them through ESSA (the Every Student Succeeds Act) and tax laws. After all, creating distractions is standard operating procedure in American politics. And all too often, what the country is hearing about education reform is scripted talking points, not the truth. Now, that leaves the long-standing reform agenda in the hands of Trump, DeVos, and Congress. And America seems willing to follow these leaders. The agenda hasn’t changed. The following is one of the most succinct and accurate description of the agenda that I’ve ever read. New Directions, Federal Education Policy in the 21st Century, 1999. Note the reference to funding portability, vouchers, charters, testing, and the lack of respect for preserving the system. And there is always the promise “to educate children.” But what is the truth here? Do we think we can deliver on the promise of education as a public service — absent a public system? That IS privatization. Is that what we want? 1986 to today, the agenda remains the same. Clearly we have not taken a better way forward. In total, we’ve had 30 years of propaganda behind this never wavering political agenda. There is a better way. It starts with refusing to blindly follow the leaders. 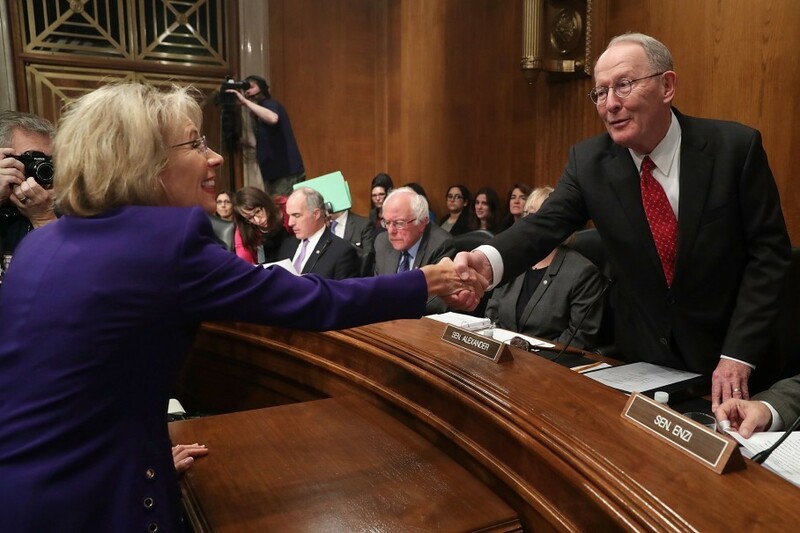 It begins when we quit taking a wait-and-see attitude about ESSA — the law DeVos will execute. ESSA was pushed through congress by Lamar Alexander without open public debate. This is the same man who proposed the first federal voucher legislation in 1992 as then Secretary of Education. He’s leading us full circle. It’s time to stop the spin. And thanks to the same media I am lambasting in broad strokes, I can connect some dots. My apologies to honest hard-working reporters who I am dumping into the same barrel as a bunch of bad apples (astroturf). But our general lack of trustworthy media coverage of education issues is leaving America inadequately informed on KEY ISSUES. It has left us ill-equipped in the propaganda war being waged on public schools. The truth: Betsy DeVos came into this politically appointed position with no intention of strengthening and improving the system. Her history is one of disrupting already struggling public schools, dismantling them —and the system (community) surrounding them— and supporting privately run charters instead. That’s what she did in Michigan. Are we going to wait and see if she does the same to the country? Many “school choice” proponents, who themselves write for the media, want you to believe that the Trump/DeVos/Alexander funding for school choice initiatives are going nowhere this year. Well, guess what is already in ESSA? Betsy knows. Alexander knows. If Congress fully funds ESSA —without restrictions on charter expansions—they fund the way forward for the Trump/DeVos/Alexander school choice/privatization plan. If Congress includes tax credits —under any variety of names – opportunity, scholarship, tuition, etc. —as part of tax “reforms,” they fund the Trump/DeVos/Alexander de facto voucher/privatization plan. What say you, Betsy DeVos? “…we live in a country where an open debate of ideas is welcomed and encouraged. But good intentions alone are not enough. Justice demands humility, wisdom and prudence. Hear, hear; let’s do THAT!